Free carpark at the rear of the building. 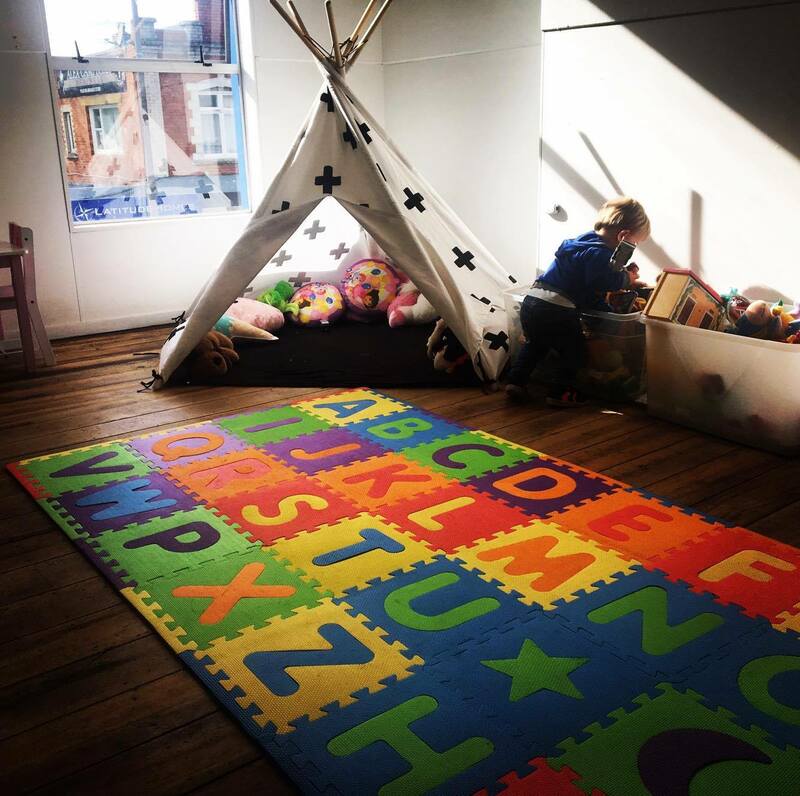 Two level seated area, however kids playroom is accessed via a steep stair case. 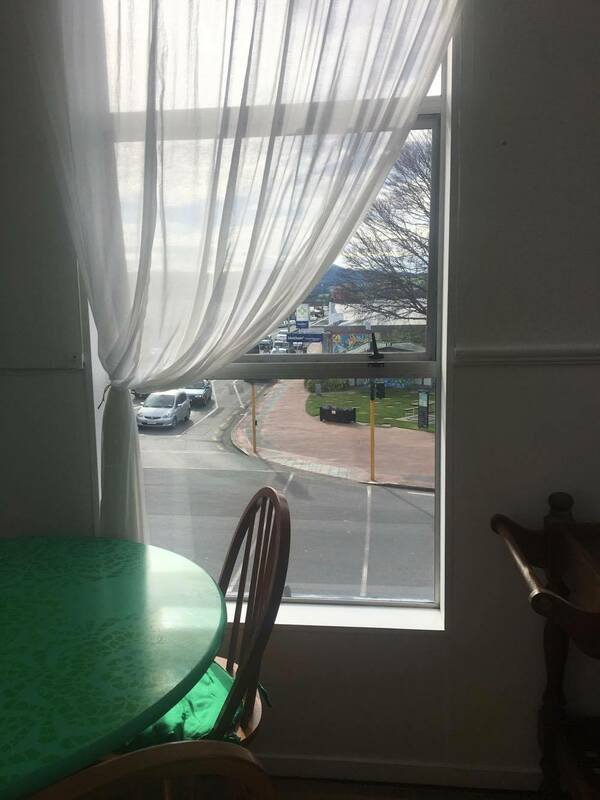 The wooden table is located in that BIG blue building on the corner of Gordon and Bush Roads Mosgiel. The cool thing about this business is that it was started by two mums who had a vision and dream. The main cafe area has various yummy cabinet food, savoury and sweet, with a menu which changes daily (this can be viewed on their Facebook and website) and is seasonal. 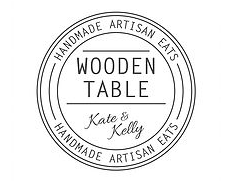 The Wooden Table also offers local giftware and house made preserves as well as Hearth - artisan bakery breads which are available for sale on Fridays and Saturdays. If you are in need of some catering this can also be arranged on request. Located upstairs is a kids playroom which is great for keeping the kids entertained while the mum's sit on the relaxing seats and drink their coffees and chat without too much fuss! 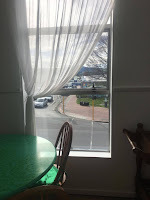 The sun was streaming in on a lovely sunny Mosgiel day when we visited so we took advantage of the window seating. There are two seperate rooms upstairs however if you have any escape artists the doors to these rooms can be closed to prevent anyone making a bolt to the stair case. 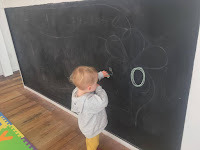 There is a chalk wall which was a big hit along with a toy box stacked with toys and a teepee. 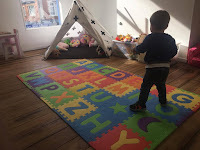 Toilet facilities are also located on both levels of the cafe. 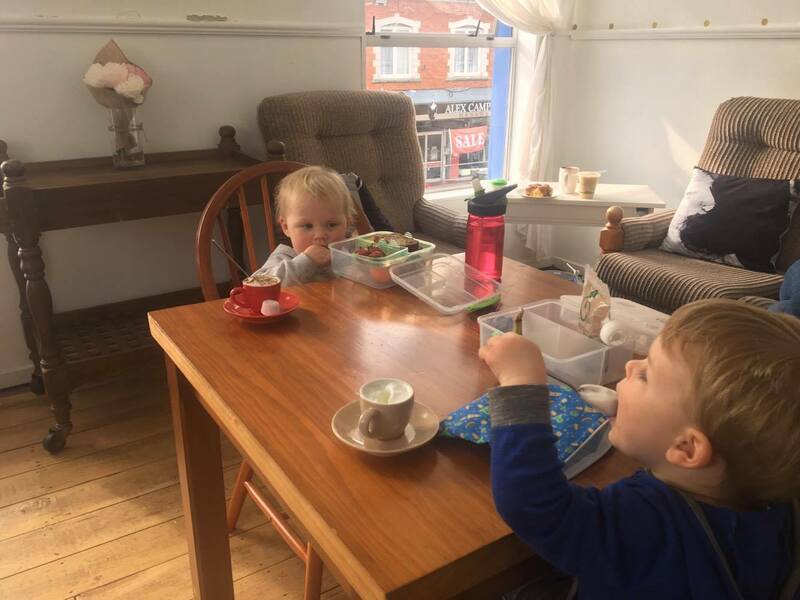 Next time you're in the area be sure to check this place out or put it on the list for your next playdate/coffee catch up! Well worth the trip.